Another #Amazing #Giveaway! Newsletter Subscribers Entered to Win! 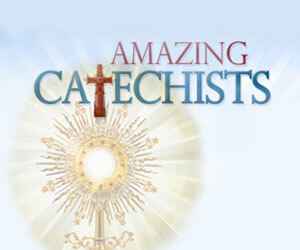 To celebrate our new, mobile-friendly website, AmazingCatechists.com is having an AMAZING giveaway!!! If you subscribed to our newsletter longer than a month ago or have never subscribed, we’d like to give you the opportunity to SIGN UP NOW at the sidebar on the home page to be entered to win one of MORE THAN A DOZEN beautiful crucifixes—and to receive our once-weekly posts! 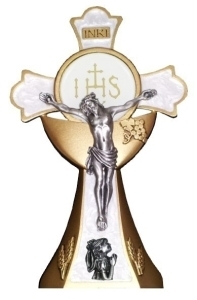 I’ll be raffling off FOURTEEN stunning pieces by the Holy Mass Crucifix Apostolate, which has received the Apostolic Blessings of both Pope Benedict XVI and Pope Francis! Once you have these extraordinarily beautiful crucifixes blessed by a priest, the Papal blessings will be imparted to them to bring the grace of God to those who use them. 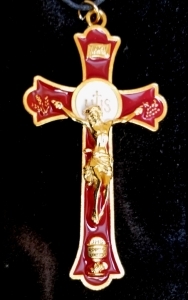 The founder of the Holy Mass Crucifix Apostolate, Roger LeBlanc, frequently receives testimonials as to the power of those graces. Some say their loved ones have been brought back to the sacraments after receiving them! (Please consider supporting his holy apostolate with your Christmas shopping dollars.) He offers this collection to us in hopes of drawing many more souls back to the Holy Mass. What incredible generosity. This is the kind of selflessness that contributes powerfully to a culture of love and life. As a result, we are GIVING AWAY TEN 5″ “First Communion: Holy Mass Standing Crucifixes,” TWO 3″ pendant crucifixes on black cord, and TWO 2″ pendant crucifixes on black cord. These are exquisite, heirloom-quality, enameled pieces that make great gifts for Christmas, First Communion, First Reconciliation, and Confirmation. TO ENTER, visit the home page, here at AmazingCatechists.com and scroll down the right sidebar to find our easy sign-up form. Fill in your name and email address. It’s that simple! I’ll be awarding these beautiful gifts by random drawing from our newsletter subscriber list, starting on the Feast of Our Lady of Guadalupe, December 12th. Our once-weekly newsletter, updating our subscribers on new posts and features at AmazingCatechists.com will begin in just a few days. Feel free to contact me with any questions, suggestions, or catechetical tips you’d like to share, at the email address below! And don’t forget to subscribe to our once-weekly newsletter to be entered to win! Blessings of the Advent Season! An evangelized family is a valuable agent of evangelization, especially radiating the wonder that God has worked in it. Moreover, being by nature the ambit of generosity, it will promote the birth of vocations to the following of the Lord in the priesthood or consecrated life. “An evangelized family…” I like that phrase. I also like the vision Pope Francis has for it; specifically, that an “evangelized family” radiates God’s wonder and is the birthplace of new vocations. So I decided to do some poking around to see what the modern popes have said about the role of the family in evangelization, in ministry, and in the Church in general. I thought I would be able to find a decent amount of material, but man, oh man, I never expected to find so much! Here are some selections of what I found, presented in no particular order. Secularity is the true and distinctive mark of the lay person and of lay spirituality, which means that the laity strive to evangelize the various sectors of family, social, professional, cultural and political life. On a continent marked by competition and aggressiveness, unbridled consumerism and corruption, lay people are called to embody deeply evangelical values such as mercy, forgiveness, honesty, transparency of heart and patience in difficult situations. What is expected from the laity is a great creative effort in activities and works demonstrating a life in harmony with the Gospel” (Blessed Pope John Paul II, Ecclesia in America, #44). “God the Creator, by forming the first man and woman and commanding them to ‘be fruitful and multiply’ (Gen 1:28), definitively established the family. In this sanctuary life is born and is welcomed as God’s gift. The word of God, faithfully read in the family, gradually builds it up as a domestic church and makes it fruitful in human and Christian virtues; it is there that the source of vocations is to be found (Blessed Pope John Paul II, Ecclesia in America, #46). I therefore invite all the Catholics of America to take an active part in the evangelizing initiatives which the Holy Spirit is stirring in every part of this immense continent, so full of resources and hopes for the future. In a special way, I invite Catholic families to be “domestic Churches”, in which the Christian faith is lived and passed on to the young as a treasure, and where all pray together. If they live up to the ideal which God places before them, Catholic homes will be true centers of evangelization (Blessed Pope John Paul II, Ecclesia in America, #76). The family’s catechetical activity has a special character, which is in a sense irreplaceable. This special character has been rightly stressed by the Church, particularly by the Second Vatican Council. (118) Education in the faith by parents, which should begin from the children’s tenderest age, is already being given when the members of a family help each other to grow in faith through the witness of their Christian lives, a witness that is often without words but which perseveres throughout a day-to-day life lived in accordance with the Gospel (Blessed John Paul II, Catechesi Tradendae, #68). Our thoughts turn also to Christian families, to ask them to remain faithful to their vital mission in society. May they consecrate themselves in this jubilee year to the Immaculate Heart of Mary! For married couples this act of piety will be a valuable aid in performing their conjugal duties of chastity and faithfulness. It will keep pure the atmosphere in which their children grow up. Even more, it will make the family, inspired by its devotion to Mary, a living center of social rebirth and apostolic influence (Pope Pius XII, Le Pelerinage de Lourdes, #53). Indeed, let this be clearly understood, especially in these our days: fathers and mothers of families, those who are godparents through Baptism, and in particular those members of the laity who collaborate with the ecclesiastical hierarchy in spreading the Kingdom of the Divine Redeemer occupy an honourable, if often a lowly, place in the Christian community, and even they under the impulse of God and with His help, can reach the heights of supreme holiness, which, Jesus Christ has promised, will never be wanting to the Church (Pope Pius XII, Mystici Corporis, #17). Everyone knows that the Christian family is a special sign of the presence and love of Christ and that it is called to give a specific and irreplaceable contribution to evangelization (Pope Emeritus Benedict XVI, Homily during Mass for the National Day of Croatian Catholic Families). The good that the Church and society as a whole expect from marriage and from the family founded upon marriage is so great as to call for full pastoral commitment to this particular area. 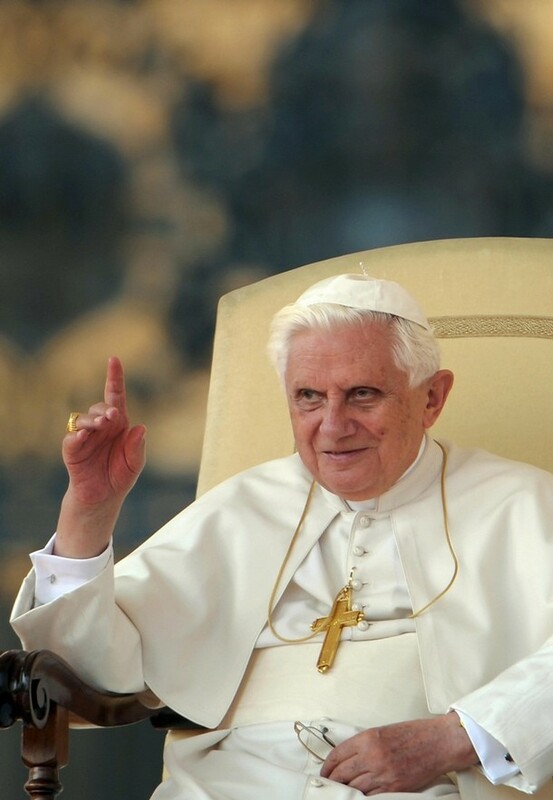 Marriage and the family are institutions that must be promoted and defended from every possible misrepresentation of their true nature, since whatever is injurious to them is injurious to society itself (Pope Emeritus Benedict XVI, Sacramentum Caritatis, #29). There is no doubt of the importance of the family unit in building up future members of the Church (and society) through evangelization and by producing vocations to the priesthood, diaconate, and religious life. I pray that during this Lenten season you take inventory of your family’s spiritual health and find ways to strengthen it. 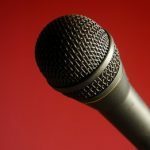 A slightly different version of this post was originally published online at Christopher’s Apologies on March 6, 2014. 1) Pope Benedict’s humility is evident in this announcements and he realizes the great significance of his decision. 2) I find his letter filled with courage being in on the heals of Blessed John Paul II who with great suffering and courage himself persevered. But I wonder if he saw things we didn’t see about the effects of a pope who could not perform the tasks that were necessary of the Office of Peter. I admire Him for his courage and what I’d call “leadership” to do what he thought best for Christ’s Church. 4) Let us together seek the guidance, strength and wisdom of the Holy Spirit as the college of Cardinals discern who is to lead Christ’s Church on earth next. Since Lent is just a couple of days away, let us seek to make small sacrifices for the sake of the Cardinals who will prayerfully choose with God’s help the next vicar of Christ.